A motorbike is parked on a stage during the launch of UberMOTO at a hotel in Bangkok on February 24, 2016. BANGKOK - Thailand has ordered Uber Technologies and Grab to halt their motorcycle taxi-hailing services, a senior transport official said on Tuesday. 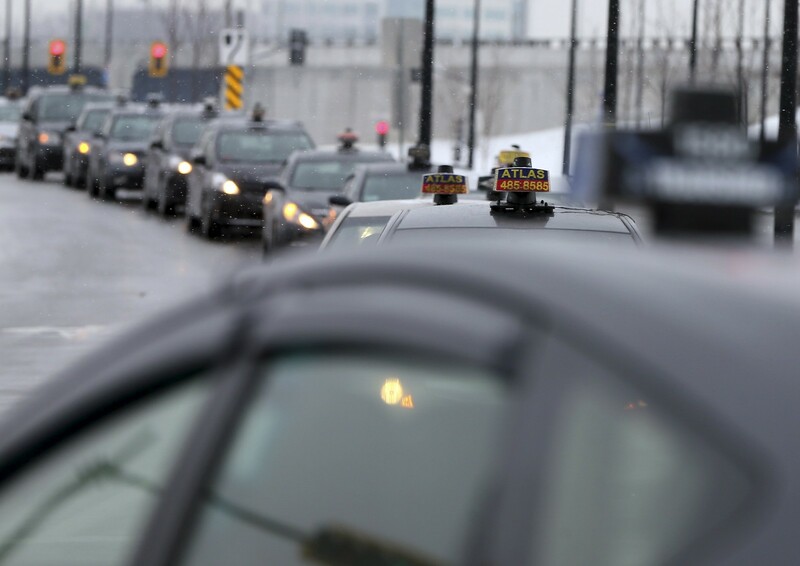 Taxi drivers took to the roads to block traffic to the airport in a protest against Uber in Montreal, Canada February 10, 2016. 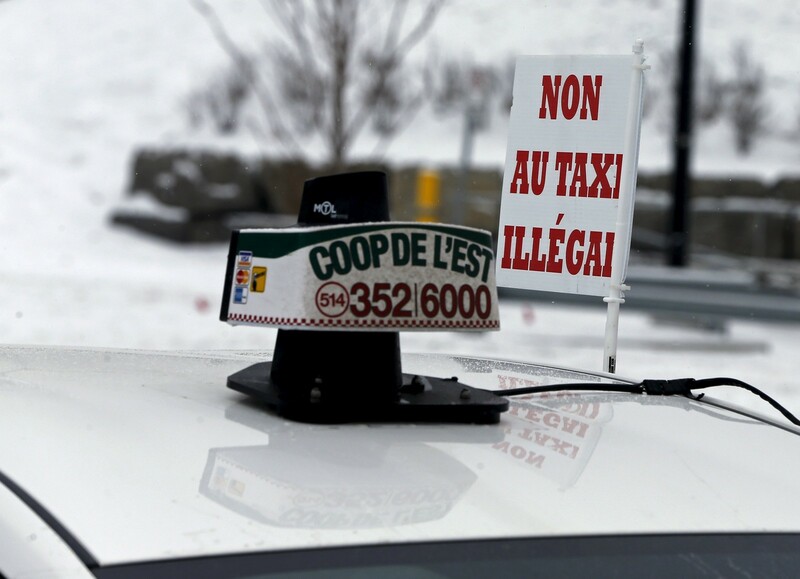 A sign saying "no to illegal taxis" is seen on top of a taxi taking part in protest against Uber in Montreal, Canada February 10, 2016. 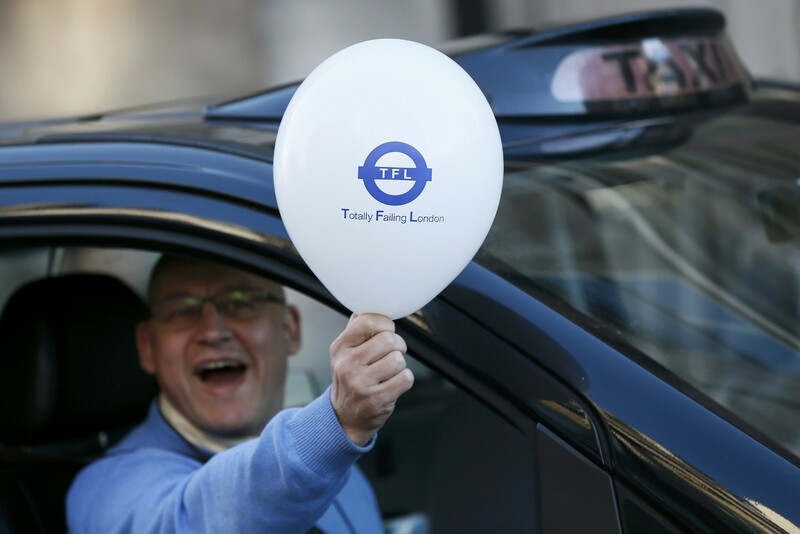 A London cab driver holds a balloon during a protest by London cab drivers against Uber in central London, Britain February 10, 2016. 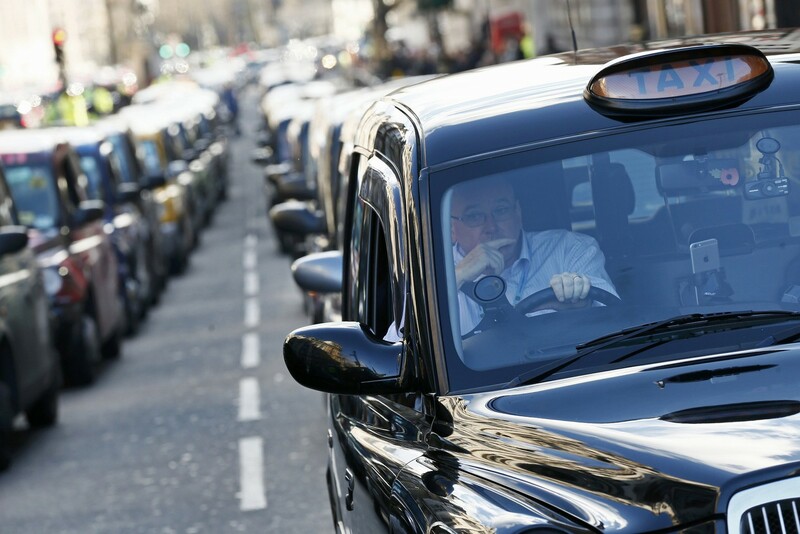 London cab drivers protest against Uber in central London, Britain February 10, 2016. 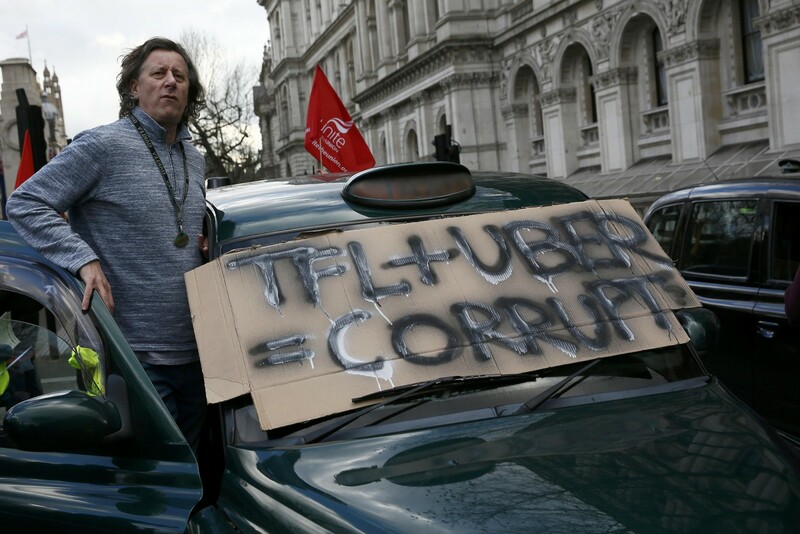 A London cab driver holds a placard during a protest by London cab drivers against Uber in central London. 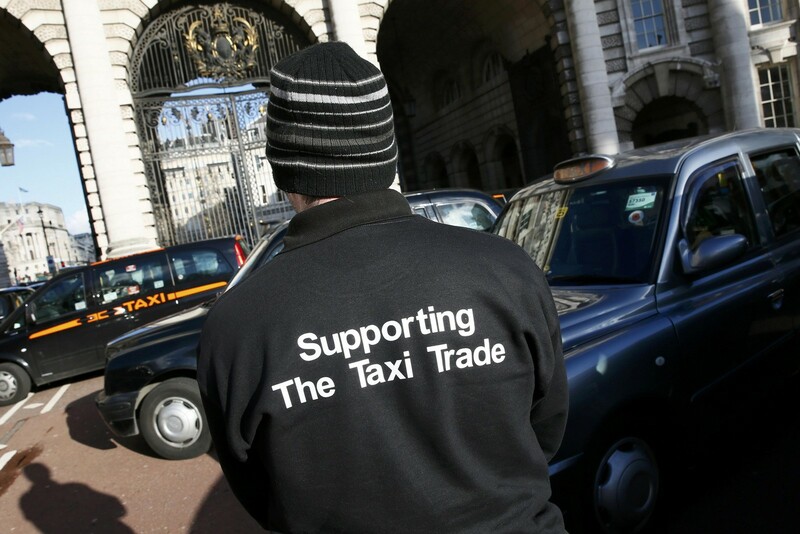 A London cab driver takes part in a protest by London cab drivers against Uber in central London. 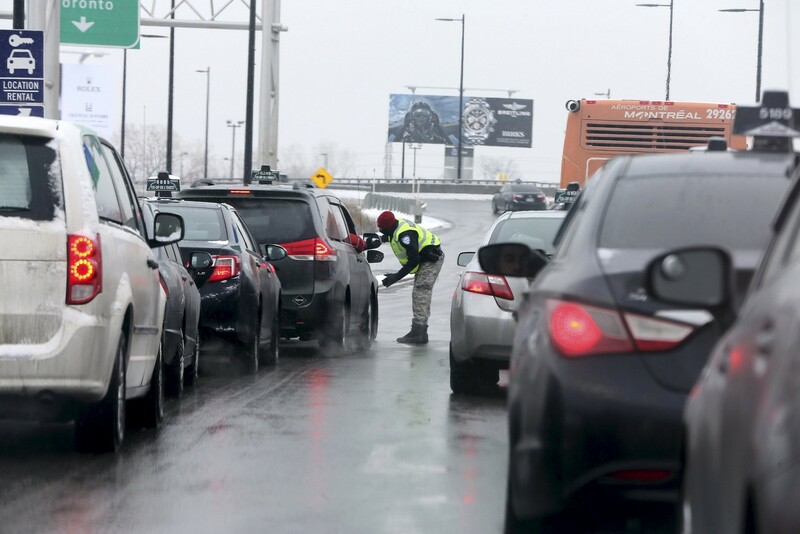 A policeman redirects taxi drivers who took to the roads to block traffic to the airport during a protest against Uber in Montreal, Canada. 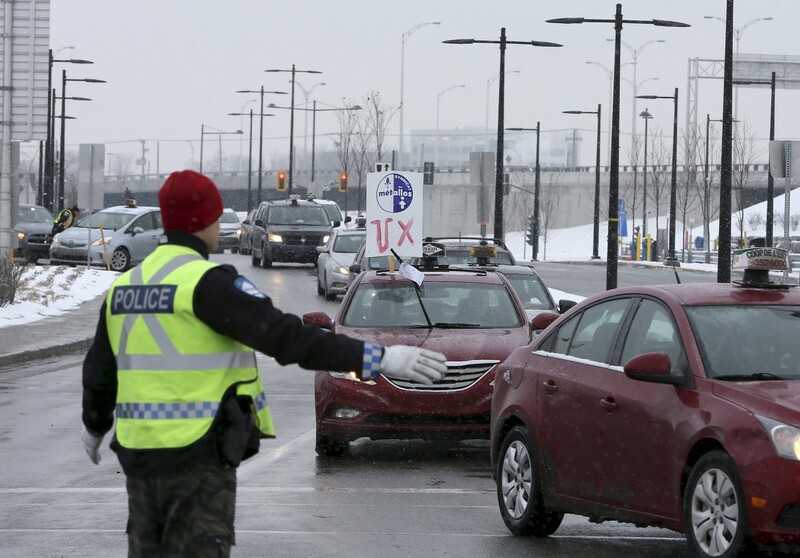 A policeman redirects taxi drivers who drove to block traffic around the airport during a protest against Uber in Montreal. 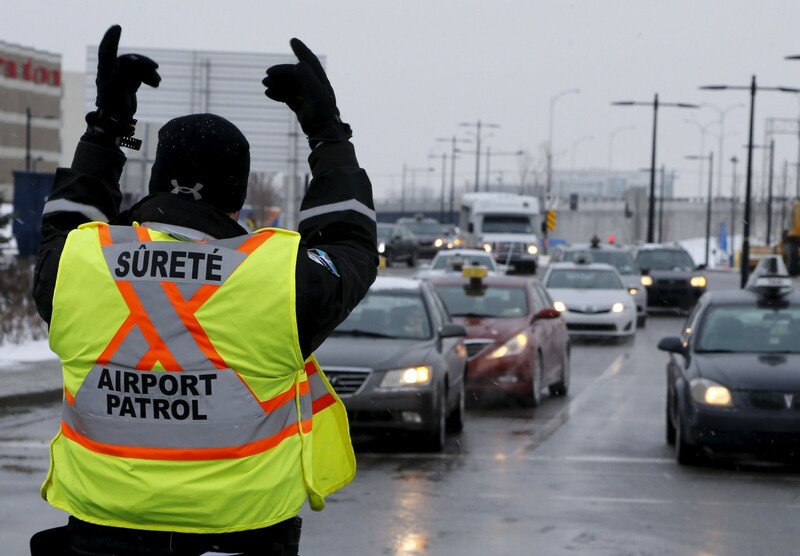 Taxi drivers took to the road to block traffic around the airport during a protest against Uber in Montreal, Canada. 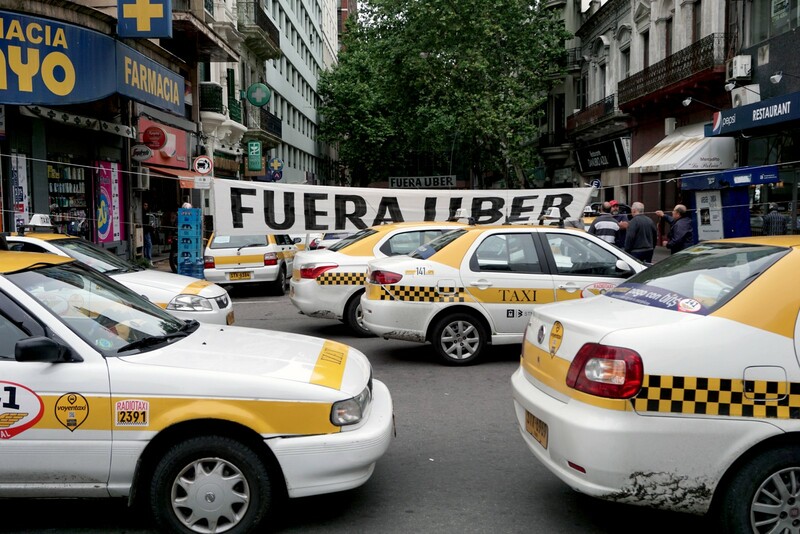 A sign which reads "Uber get out. 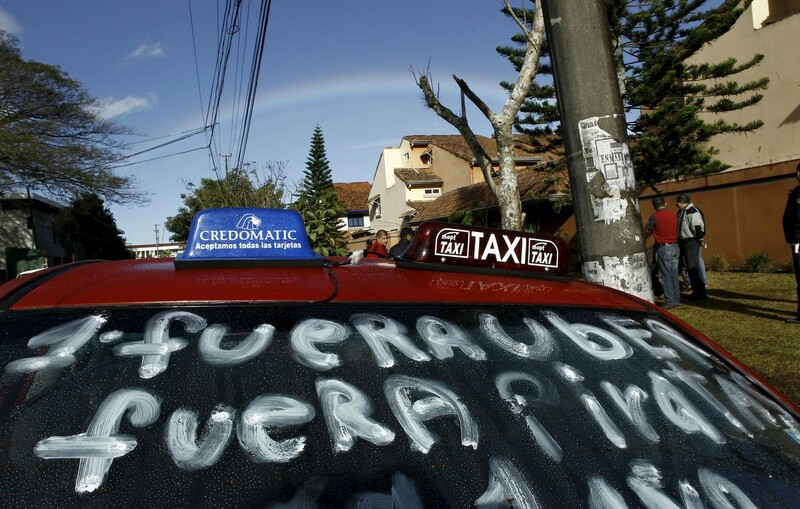 Off pirates", is seen on the windshield of a taxi outside the private home of Costa Rican President Luis Guillermo Solis. 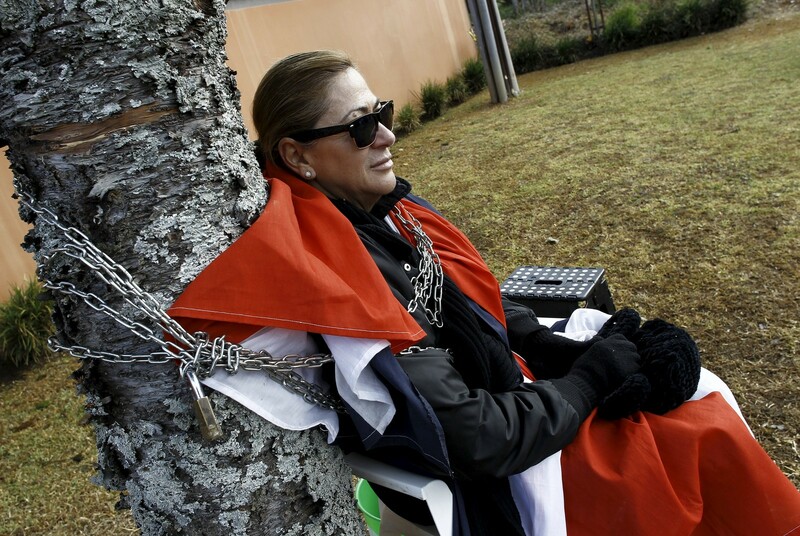 A taxi driver tied with chain to a tree outside the private home of Costa Rican President Luis Guillermo Solis, protesting against Uber in San Jose, Costa Rica. 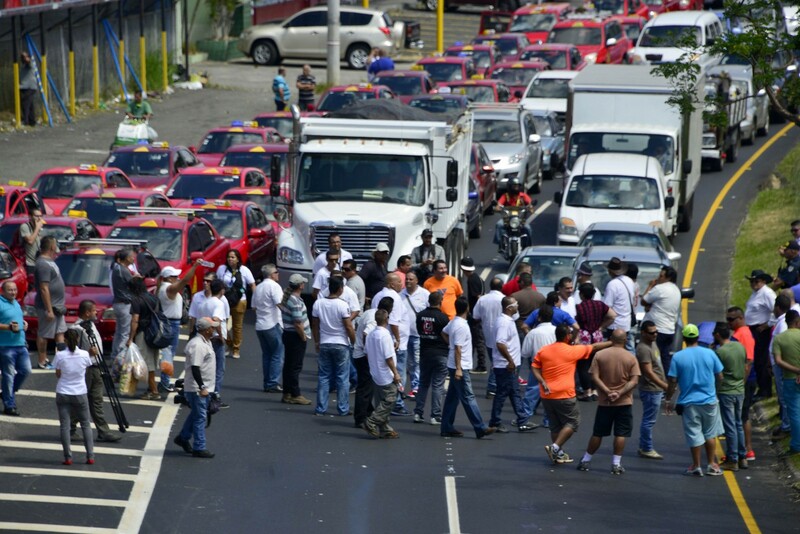 Hundreds of taxi drivers jammed streets in Costa Rica's capital San Jose on February 1, 2016, demanding the government block the mobile app for Uber. 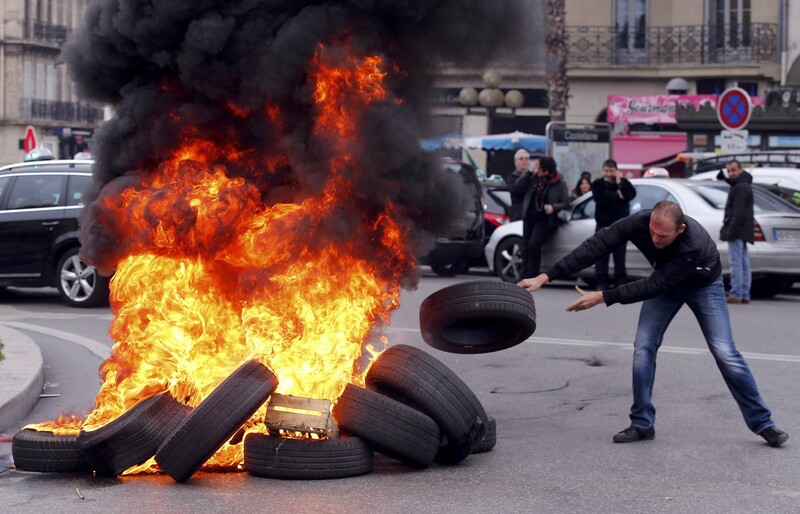 A striking French taxi driver burns tyres during a national protest about competition from private car ride firms like Uber, in Marseille, France. 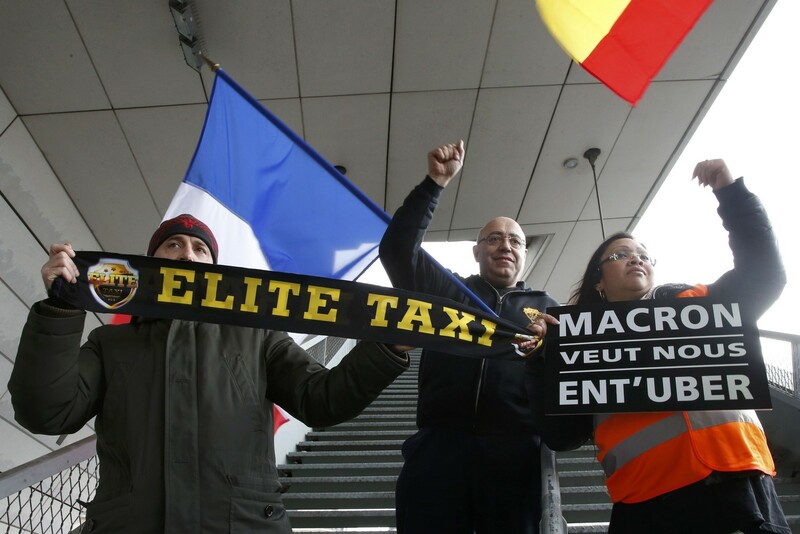 Striking taxi drivers continue their national protest about competition from private car ride firms like Uber, in Paris, France. 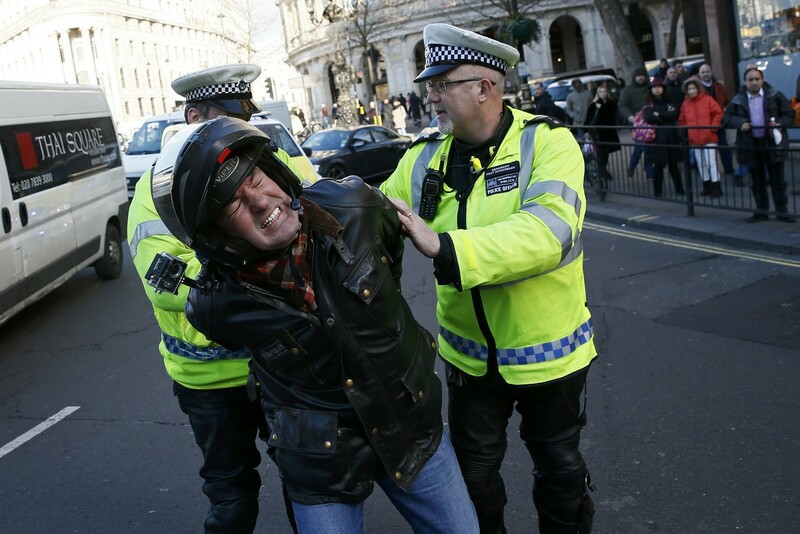 A man is detained by police officers during a protest by London cab drivers against Uber in central London, Britain. 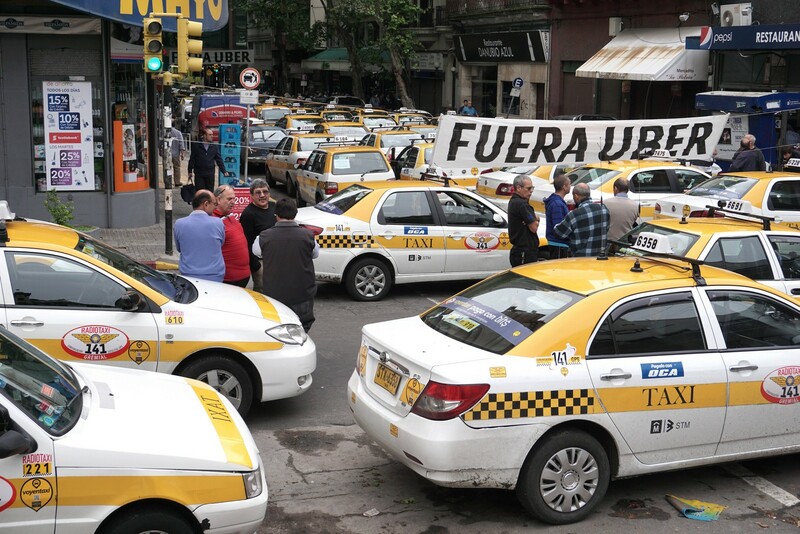 Taxi drivers block the street in front of the hotel where U.S. company Uber is training drivers, in Montevideo, Uruguay. 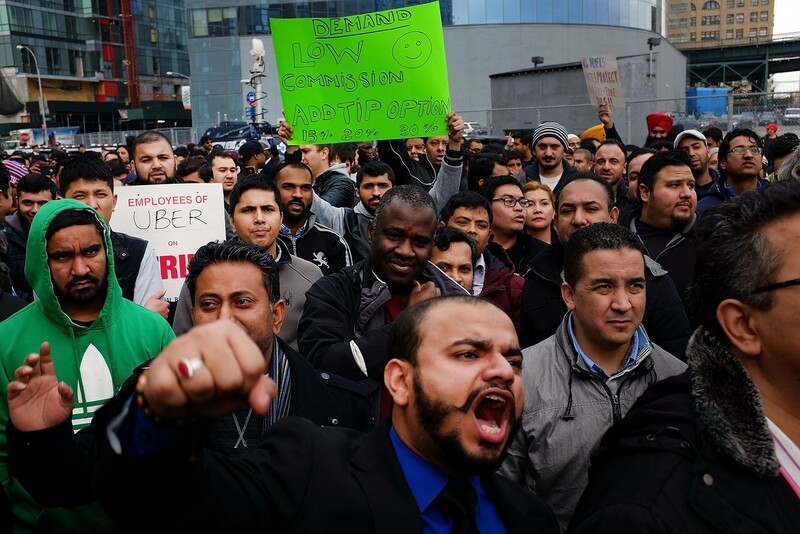 Dozens of taxi drivers are gathering in the city to protest against ridesharing apps Uber and GrabCar. 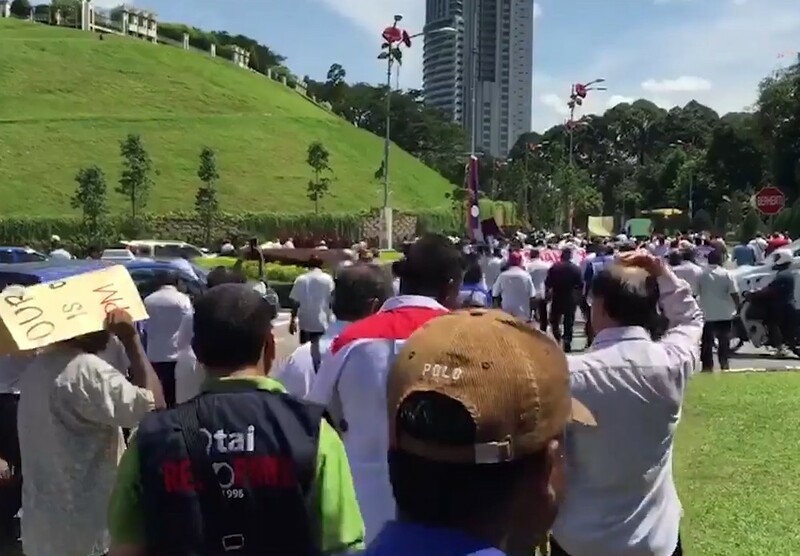 Grouping at the Padang Merbok carpark at about 10am, many have brought their own taxis, parking them here. 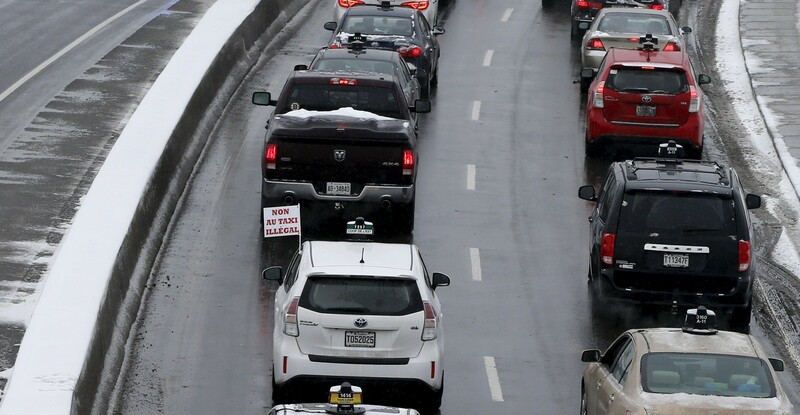 "Long live taxis!" 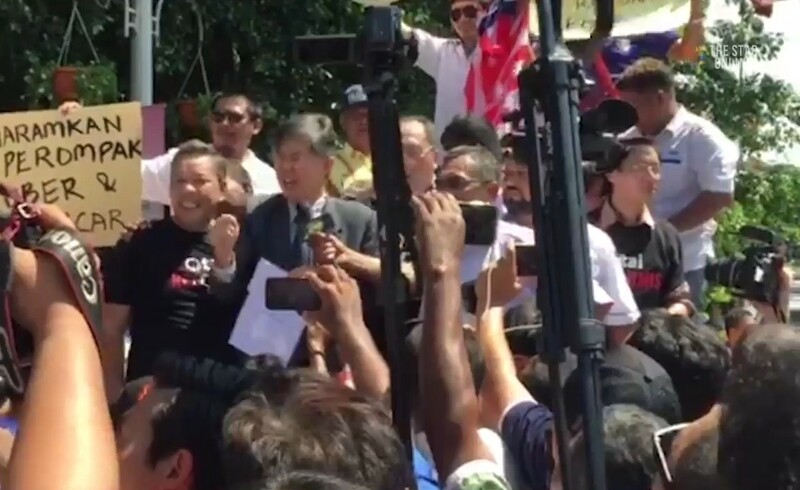 some of them shouted, holding placards calling for Uber and GrabCar to be banned. 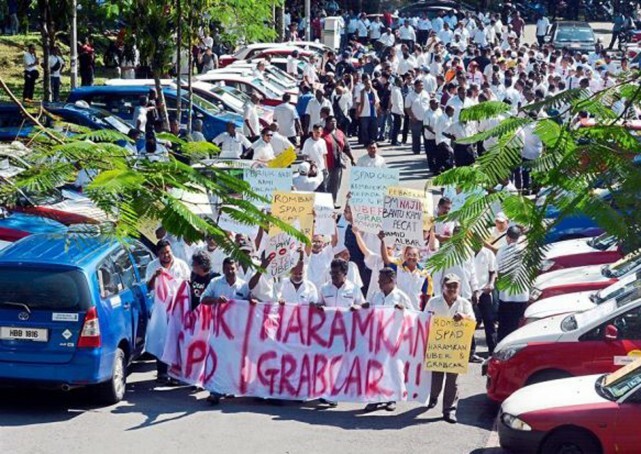 Led by the Klang Valley Taxi Drivers Action Committee, the drivers are demanding for Uber and GrabCar to be banned, claiming the ridesharing competition has caused them a loss in income. 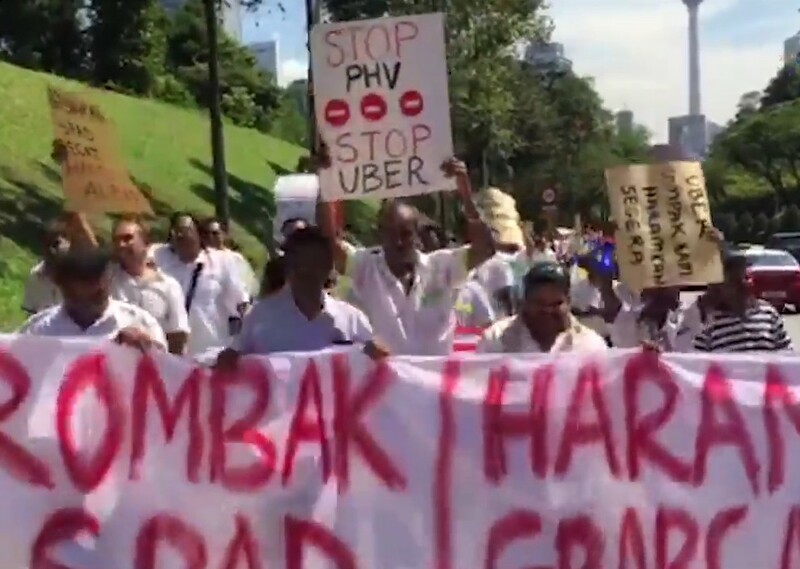 They claim that the Land Public Transport Commission has not been firm enough in going after Uber and GrabCar, and want its leadership to be "reshuffled". 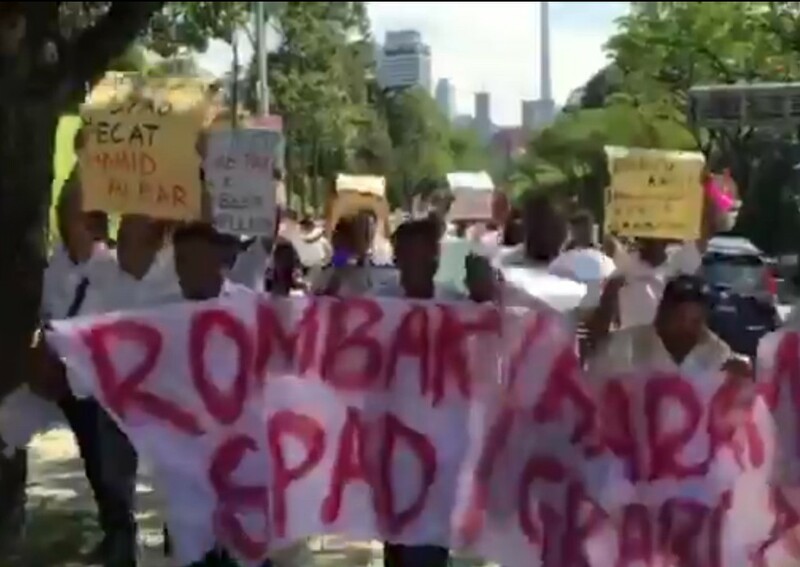 A banner calling for SPAD chairman Tan Sri Syed Hamid Albar's resignation was also hung up. 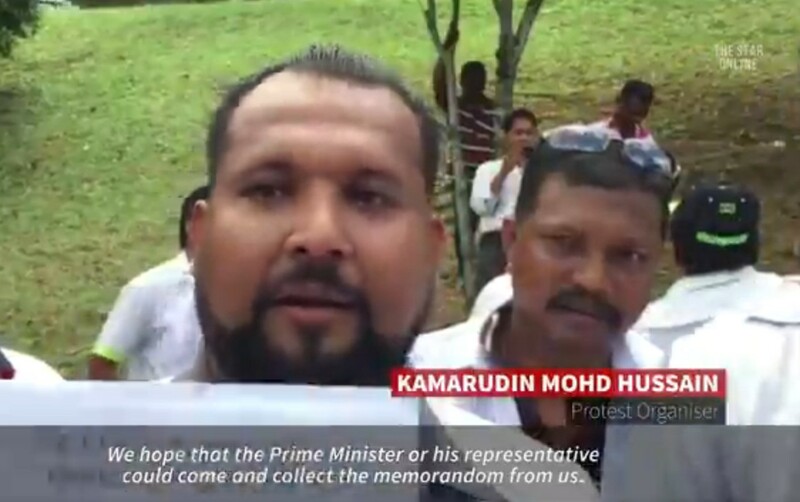 PAS-Temerloh Member of Parliament Nasrudin Hassan was spotted giving his support to the drivers. 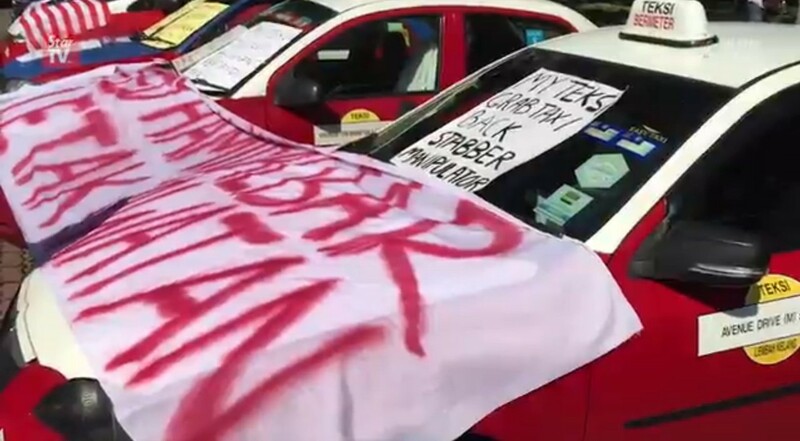 The taxi drivers are threatening to block many of the city's main roads if the Government does not ban Uber and GrabCar. 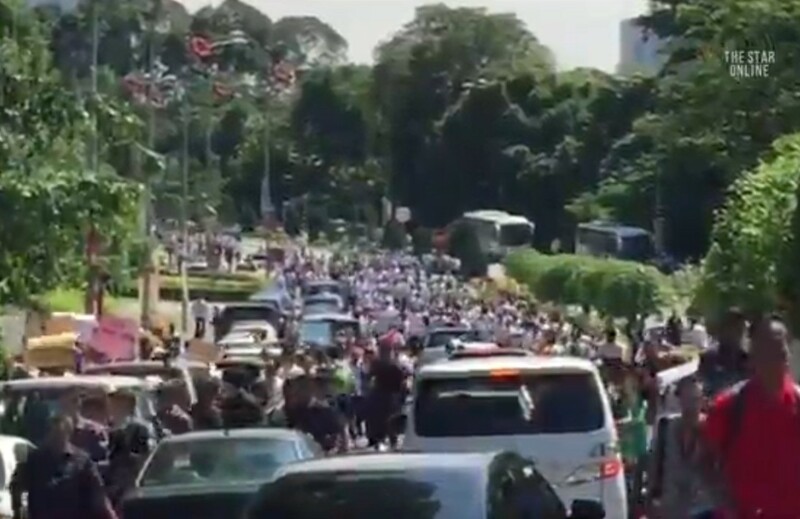 "If there is no response or the right attention from the Government, we will have another large demonstration on several main roads," said protest organizer Kamarudin Mohd Hussain. 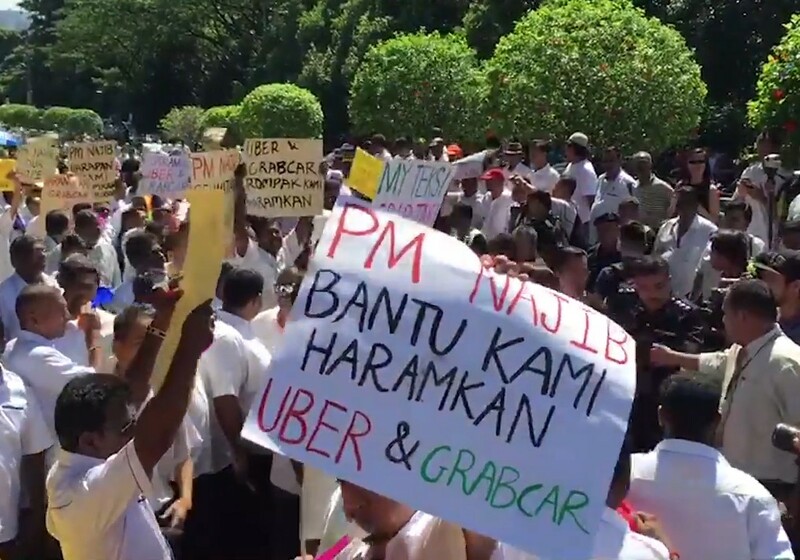 Demanding that the Land Public Transport Commission's (SPAD) leadership be "reshuffled", they claimed that the regulatory body had failed to ban Uber and GrabCar. 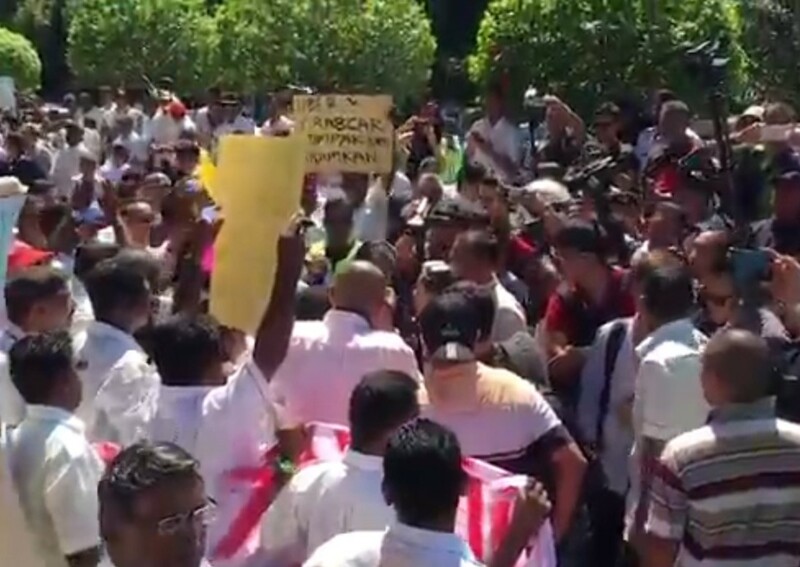 They were stopped by police from going up to the Parliament gates but were met by Opposition politicians who came to give the drivers their support. 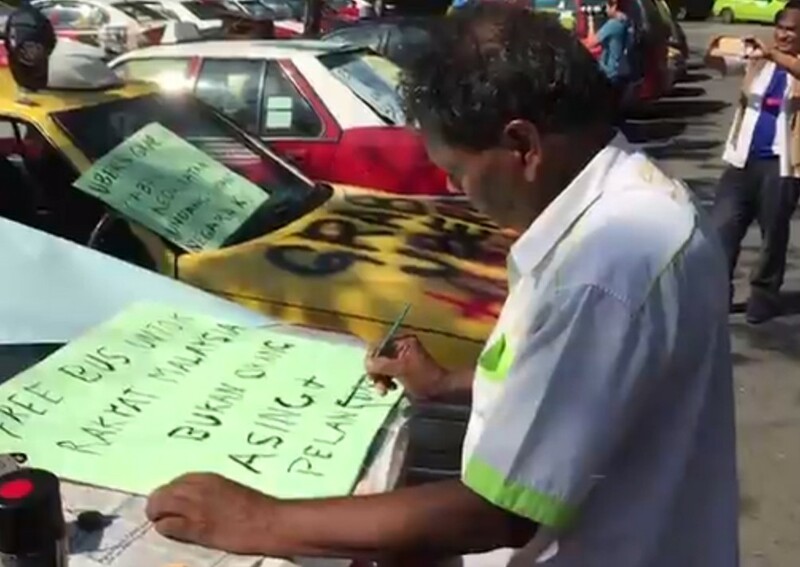 In Oct 2012, about 200 taxi drivers had blocked Jalan Bukit Bintang with their cars to protest a free-to-ride bus service launched then, causing heavy traffic jams in the city. 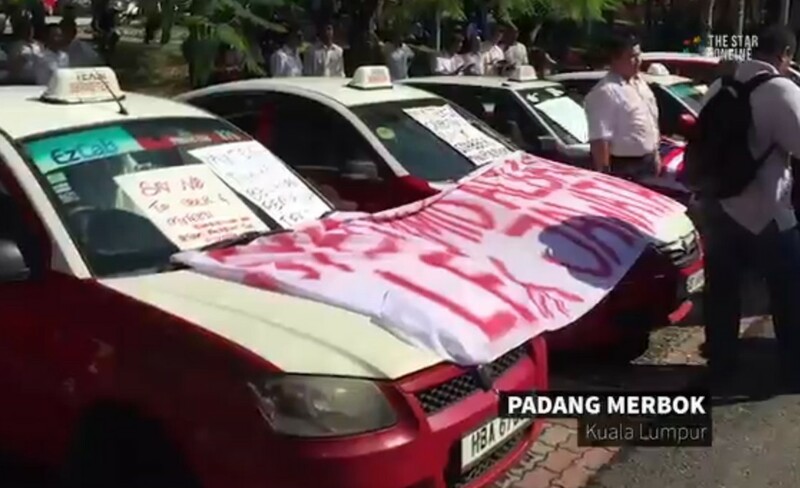 SPAD chairman Tan Sri Syed Hamid Albar later told reporters that the commission was working to better the taxi industry. 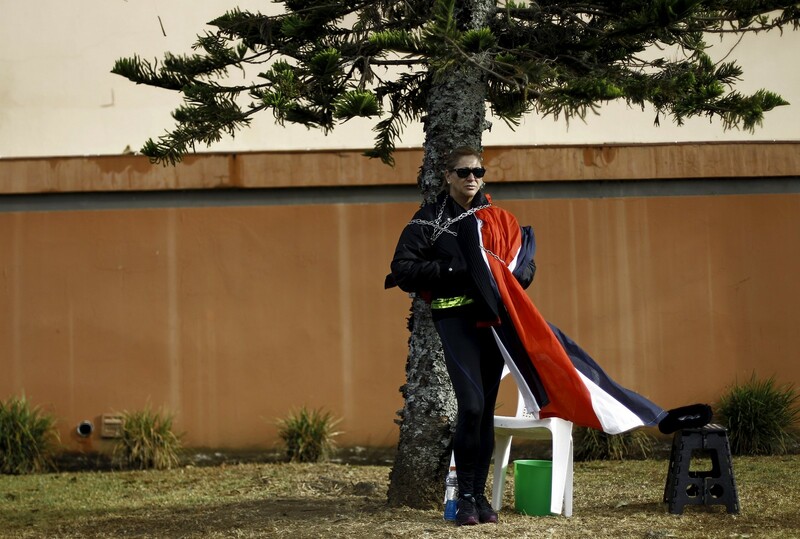 "Obviously, not everything that we do, they (the drivers) are satisfied," he said, adding that he was not worried by the threat. 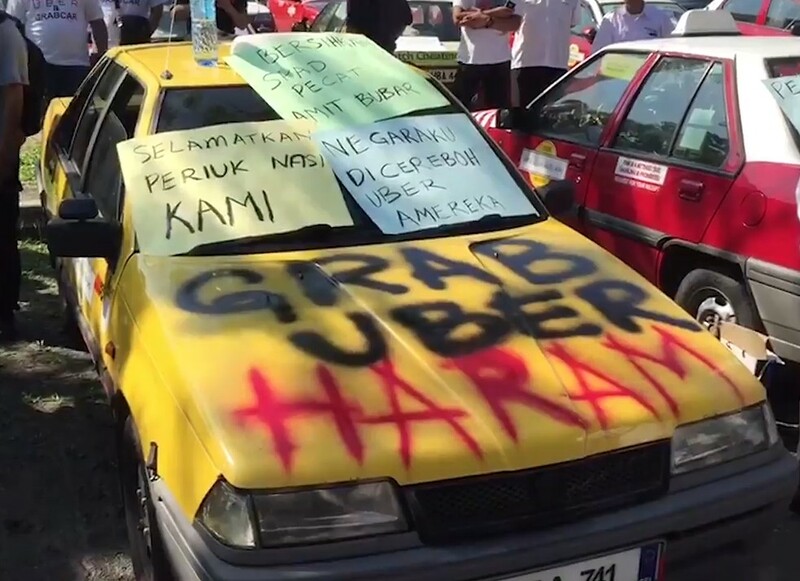 Previously, SPAD had indicated that it was going to regulate Uber and GrabCar, as opposed to going for a total ban. 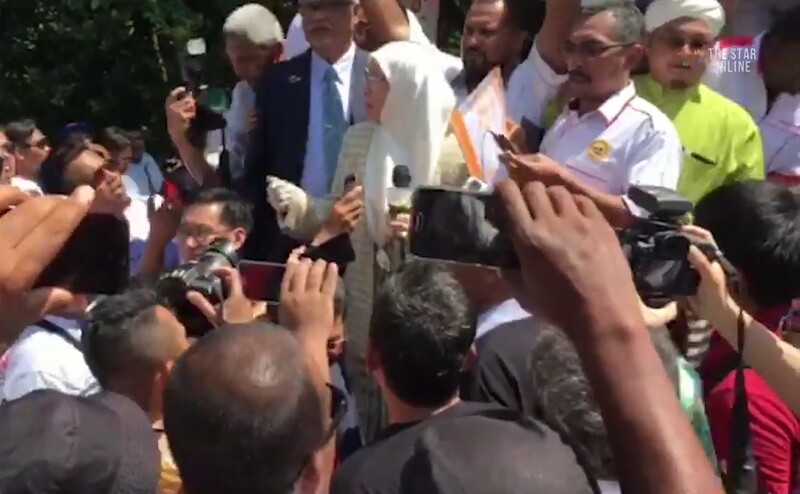 In an e-mail to The Star, MyTeksi country manager Jaygan Fu said the company supported SPAD's moves to build a stronger transport regulatory framework and improve the service of both taxis and private hire vehicles here. 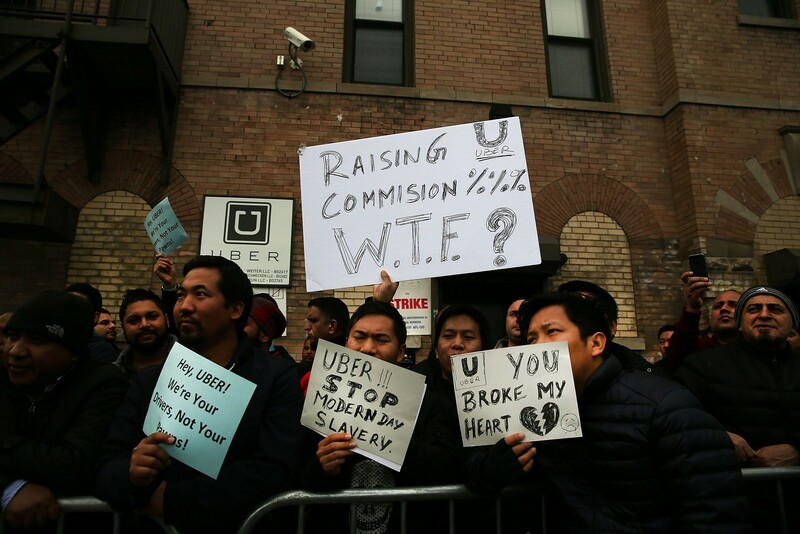 Authorities have arrested 66 motorcycle drivers working for Uber and Grab Bike, Nunthapong said. They would face fines of up to 4,000 baht ($112) for first-time offences and have their licenses suspended for repeat offences.